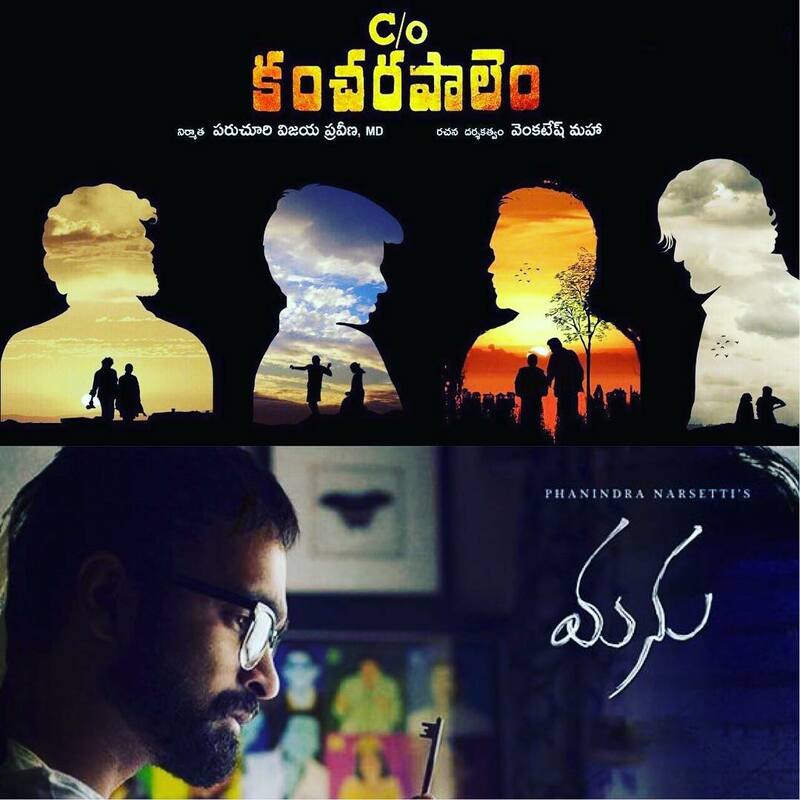 Game changers which holds the outright capabilities to push the boundaries of Telugu Cinema hitting screens today. Time to talk about unorthodox masterpieces. 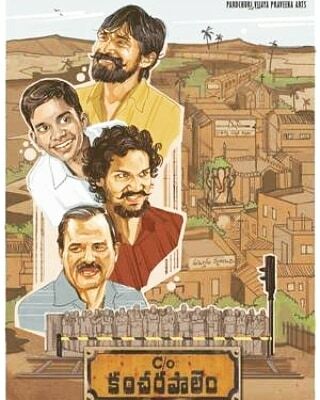 #CareofKancharapalem #Manu. 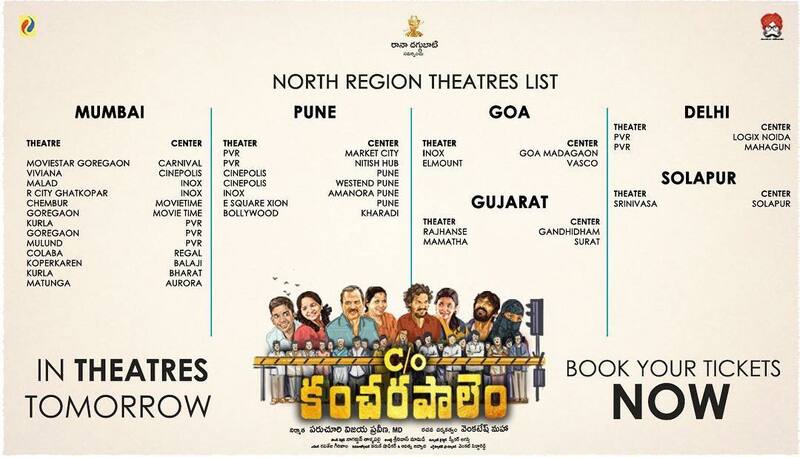 #CareOfKancharapalem From Today In #Mumbai #Pune #Goa #Gujrat #Delhi and #Solapur Regional Independent cinema all over INDIA. 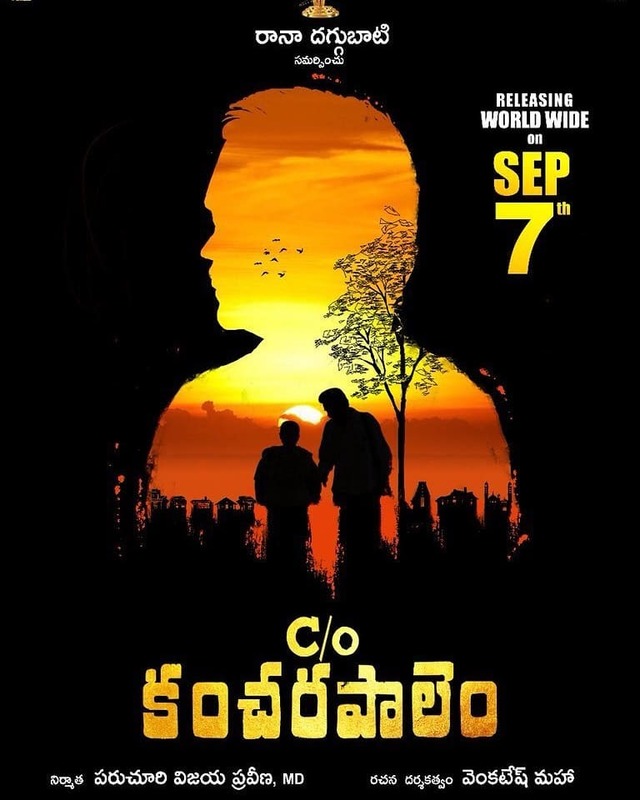 The 7th of September is finally here! 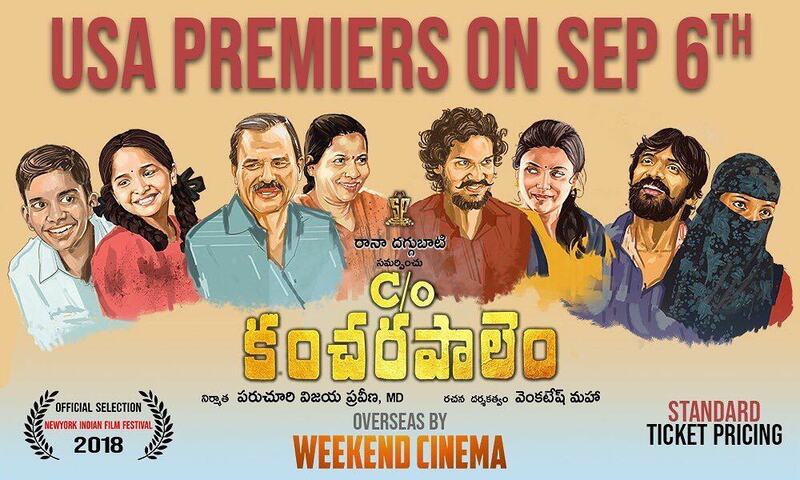 #CareOfKancharapalem is finally in theatres near you. 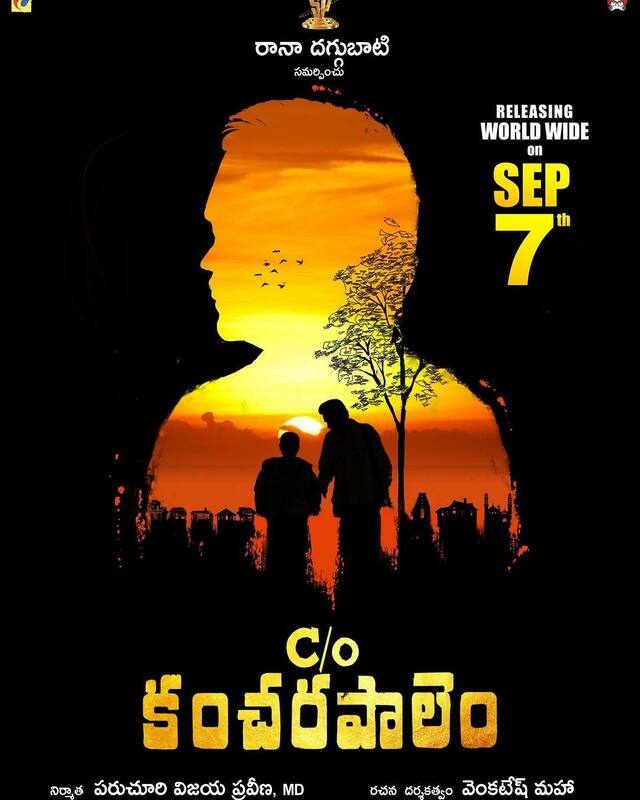 movie ticket teesukondi, bus ticket avasaram lekunda meru Kancharapalem velli akkada manushulatho matladi vastharu. I promise you. 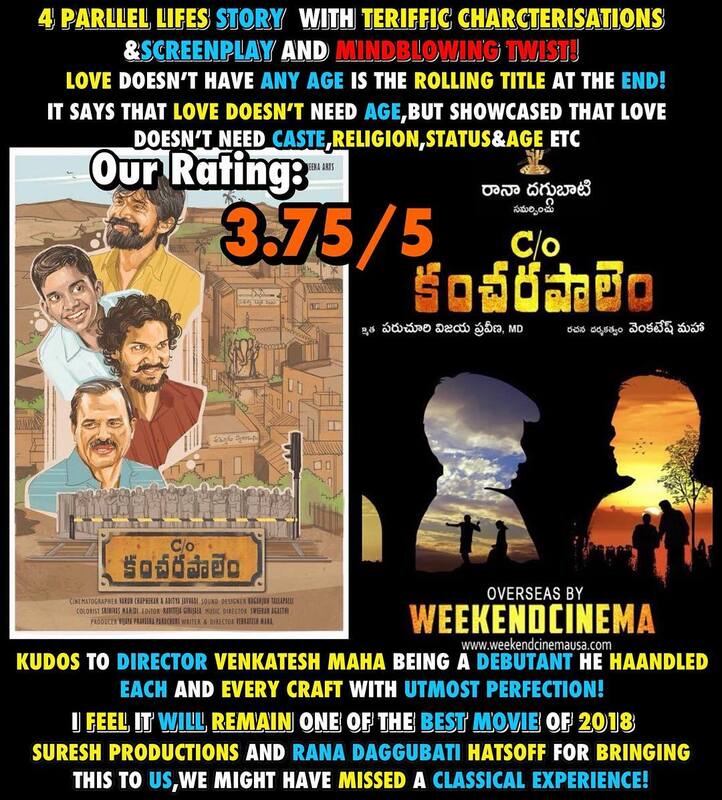 from today on theatres. Don't miss it.